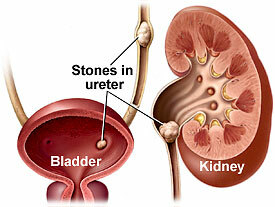 By visiting your doctor, they can treat the stones with antibiotics. This can help to an extent as many times the stones are composed of decaying food particles, which in turn promote the growth of bacteria. By using effective antibiotics, the stones are broken up and removed from your system. Salt can help to act as a desiccant, meaning that it will dry out your throat and tonsils in an effort to reduce inflammation and discomfort caused by the stones. By gargling the salt water, you are helping to dislodge some of the stones as well. By doing this multiple times a day, and especially after meals, you will be treating the stones that you currently have and preventing new ones, as the gargle will help flush any unwanted food particles out of your tonsils before they can solidify. One of the biggest reasons that people get and continue to have issues with tonsil stones is the lack of dental hygiene. By consistently brushing your teeth on a daily basis, as well as using an antibacterial mouthwash and having regular cleanings at your dentist’s office, you will be well on your way to being free of those pesky tonsil stones. Because the stones are formed due to excess bacteria in your oral cavity, it stands to reason that great dental hygiene would be an effective counter to that, as well as prevent future recurrences. If you have identified that you are indeed suffering from tonsil stones, one of the best things you can do is to change what you are eating and drinking. Sugar can be a huge problem when trying to battle these stones, as it will actually prevent your immune system from eliminating the bacteria as effectively as it normally would as it will curb the cells that take out bacteria, which is the main component of these stones. By eliminating drinks such as sweet tea and sodas as well as sugary foods, you are able to boost your body’s ability to get rid of these stones in a natural way. Surgery has been left as the last of the methods listed as it should only be considered after all other options have been exhausted. If you are suffering severely from recurrent stones and just can’t seem to get them out of your system regardless of what you do, surgery may be the right solution for you. By discussing with your doctor about all of the ins and outs of the procedure, also known as a laser cryptolysis, you will be aware of exactly what you are getting into. There are actually various forms of the surgery, which can end in a tonsillectomy if the stones are severe enough. As removing the tonsils is the only way to guarantee 100% that you will never have tonsil stones again, some patients may consider this option. For those who would rather keep their tonsils, the laser cryptolysis, as previously mentioned, can be used instead. This procedure involves using a laser to remove the stones off of your tonsils. This is usually only used if you are not suffering from a lot of stones at the same time. In the event that you are, another procedure known as coblation may be a better option for you. This involves cleaning the entire tonsil surface under local anesthesia to remove any and all visible tonsilloliths. While tonsil stones may be a persistent and uncomfortable problem to deal with, hope is not lost. With so many removal methods available to you, and with the help of your doctor, you are sure to find the right treatment solution that will help you get rid of those tonsil stones for good. My name is Ron and I’m the owner of the tonsilstonesadvisor.com – a website about tonsil stones. You can read here tips and advice on how to remove tonsil stones.